The past is a tricky thing with a rather odd habit of manifesting itself in the present. When you think you’ve outrun it, it sneaks up behind you and spins you in circles until you’re too dizzy to keep running. These issues, combined with other factors, are why up to 25 percent of black students get dizzy, stop running the race and drop out of UT before graduation. To help student escape the runaround, UT’s Black President Leadership Council organized an event called The State of Black UT. 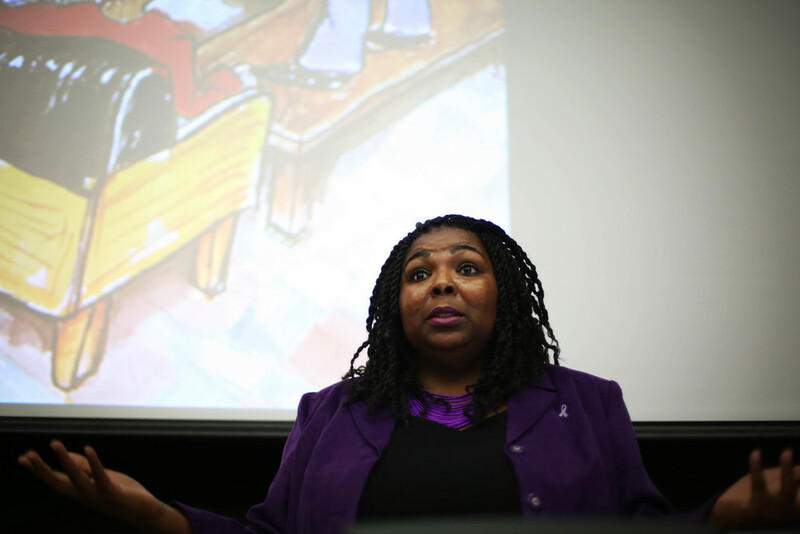 The event was an open forum featuring guest speakers and breakout sessions where students and faculty could raise questions and concerns about issues facing the black community on campus. The key issue was about retention and keeping black college students in school. While low retention rates aren’t unique to the black community, they hit black students harder because of the black population’s small numbers on campus. Black students have never reached a population of more than 3,000 students on campus, so when 25 percent of students drop out, it has a large impact. “Just based on the numbers, this has a negative effect on black people,” Kelsey says. 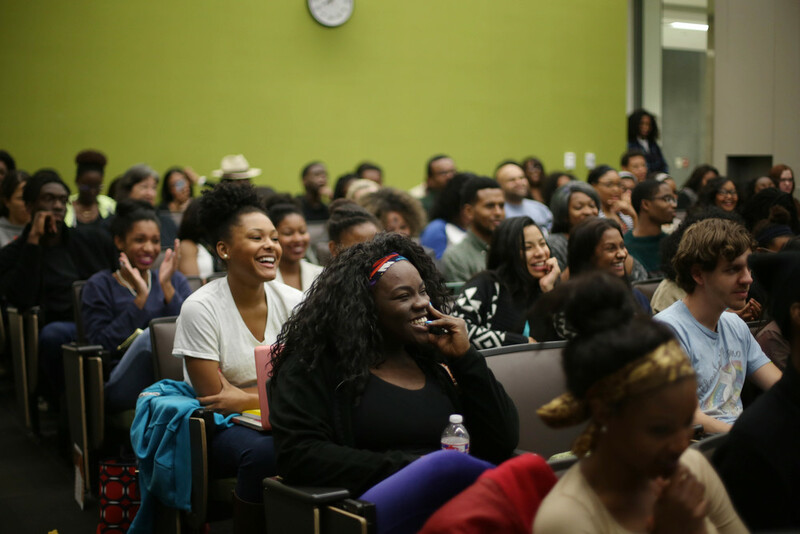 “The State of Black UT” was not only a means of discussing retention — it was an open forum where guests could share their experiences. As students shared their personal encounters with racism on campus, family problems and financial distress, there was an underlying theme. When black students face these issues, they aren’t aware of the resources available to help to them, so they drop out. While there is help available, a lot of the resources are contingent upon how well black students perform academically. These resources have been changing over the past few years, as money is being invested and divested based on retention and graduation rates. Tiffany Tills, director of the Longhorn Link Program that specializes in retention, says that this not only affects current students, but prospective students as well. “When we were looking at the data, you saw the dips in 2013 and 2014,” Till says. “Those were the years where the university kind of divested, meaning they took away a lot of the scholarship money for incoming freshmen. They weren’t recruiting them with scholarship dollars. But then, the numbers got so low, alarming low, that they had to go back and rethink the strategy.” The rethinking and reinvesting led to scholarships like the Texas Advance and to special programs like the University Leadership Network and Gateway Scholars. UT’s reinvestment in its black students has opened several doors, although there is still some progress that needs to be made in the black community. To help brainstorm ideas to solve the issue of retention, the Black Student Leadership Council had students break up into groups to discuss various solutions. The majority agreed that the primary solution is to develop a mentorship program where upperclassmen work with underclassmen. By working with someone who knows what it feels like to be the only black person in a chemistry class, to be ridiculed for dark skin and natural hair or to be stereotyped as the thuggish black athlete, students will feel encouraged to press forward. The state of black UT is one that is growing and constantly changing, but progress is always being made. And this Black History Month, as we celebrate the likes of Martin Luther King Jr. and Rosa Parks, don’t forget about the black students that are running the race and making a difference right here on campus. Note: Statements in this article reflect the opinions of the writer.